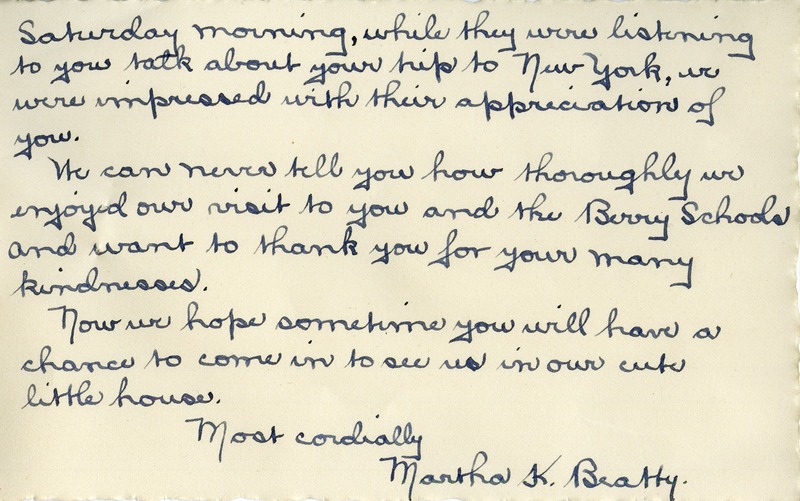 Martha K. Beatty writes to thank Martha Berry for an inspiring day at the school and hopes Berry will visit her and her companion Mrs. Baldwin at their home. 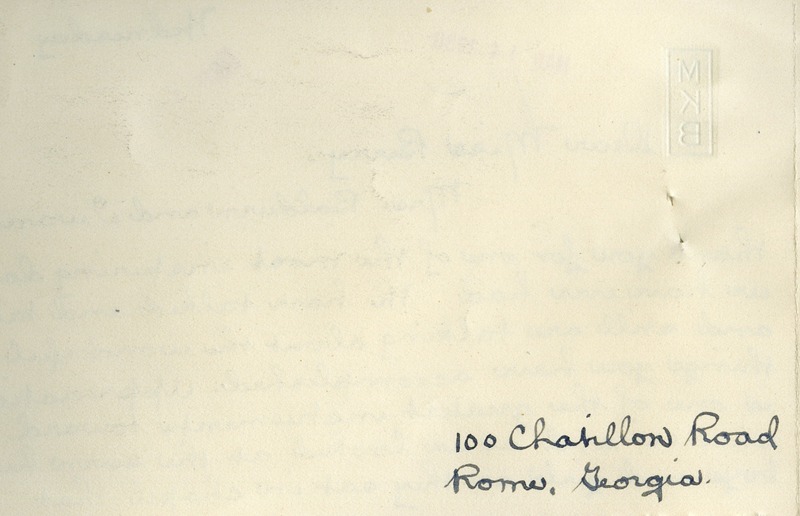 Martha K. Beatty, “Letter from Martha K. Beatty to Martha Berry.” Martha Berry Digital Archive. Eds. Schlitz, Stephanie A., Sherre Harrington, Meg Ratliff, et al. 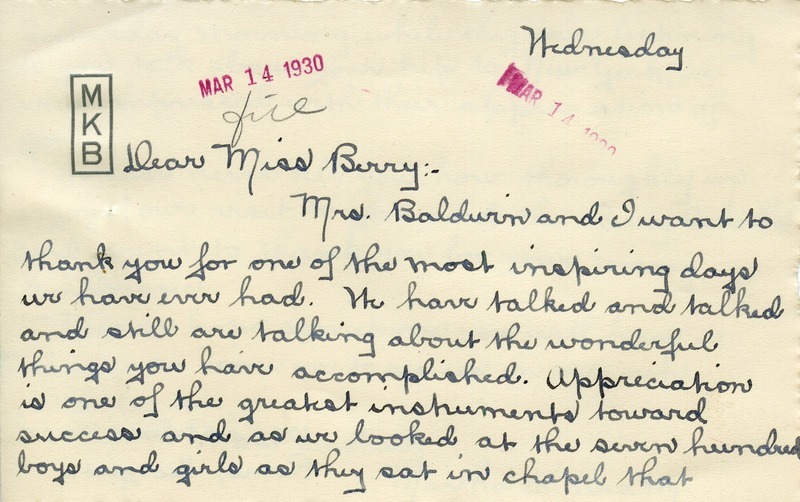 Mount Berry: Berry College, 2013. accessed April 24, 2019, https://mbda.berry.edu/items/show/11766.